Seva Bhoj Yojana - Langar / Prasad GST Waiver Scheme by Central Govt. 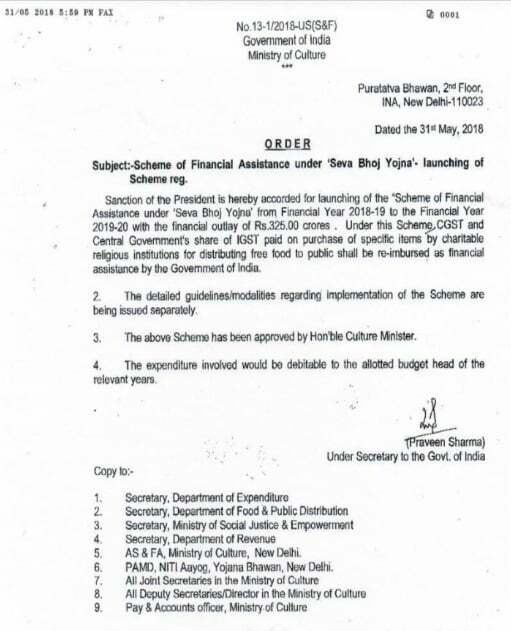 Ministry of Culture has launched Seva Bhoj Yojana to reduce the financial burden of Charitable Religious Institutions. 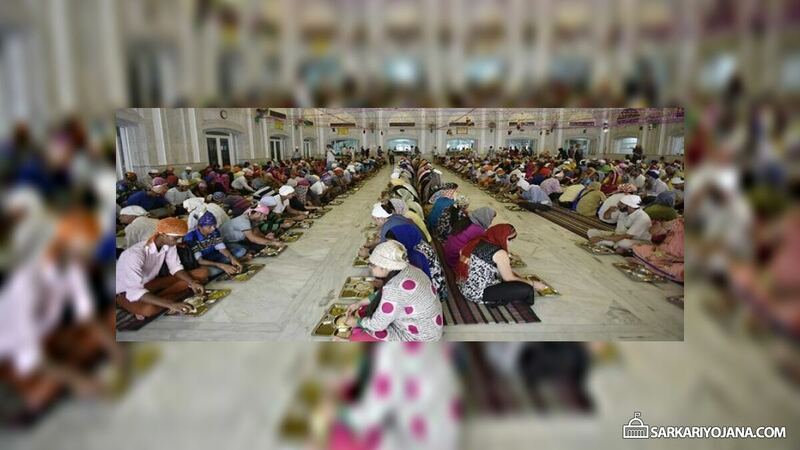 Under this scheme, Central government will waive off Goods and Service Tax (GST) on Langar in holy places. All such organizations needs to make Online Registration at Darpan Portal ngodarpan.gov.in. Union Govt. has allocated a provision of Rs. 325 crore for FY 2018-19 & 2019-20. Seva Bhoj Yojna will reimburse the Central Govt. share of Central Goods and Services Tax (CGST) and Integrated Goods and Service Tax (IGST) on purchase of raw materials such as ghee, edible oil, atta / maida / flour, rice, pulses, sugar, burra. Central govt. will provide financial assistance to Charitable Religious Institutions who provide Free Food / Prasad / Langar / Bhandara absolutely free to Public / Devotees without any discrimination. 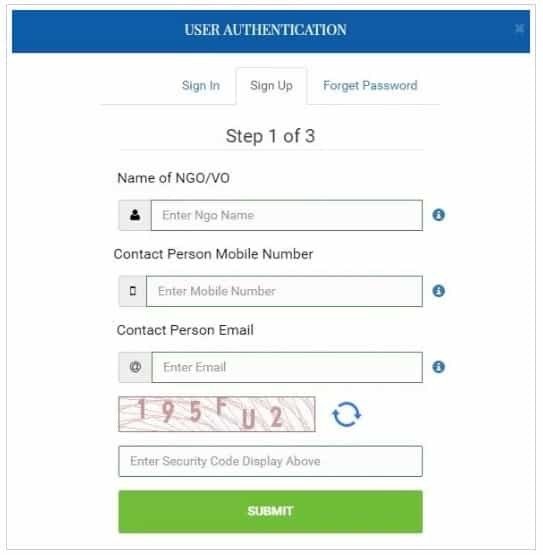 Here institutions will have to enter the correct details and click at the “Submit” button to complete the registration process. A special committee will examine the applications received from the institutions within 4 weeks. On the basis of recommendation, competent authority in Ministry will register Charitable Religious Institutions for reimbursing CGST Claim and Central Govt’s share of IGST. Institutions covered under Section 10 (23 BBA) of Income Tax Act or Institutions registered as Society under Societies Registrations Act (XXI od 1960) or as a Public Trust or institutions registered under section 12AA of IT Act are eligible. All the Langars in various devotional places will now receive refunds from the Central government. Various Ministers like Sukhbir Singh Badal, Harsimrat Kaur Badal thanks PM Narendra Modi and Mr. Amit Shah for this decision. Disclaimer & Notice: This is not the official website for any government scheme nor associated with any Govt. body. Please do not treat this as official website and do not leave your contact / personal such as Aadhar Number or Mobile No. information in the comment below. It is not possible for us to reply to each comment/query, neither we can address the complaints regarding any scheme. We request all our visitors to visit the official website of the concerned department / authority for any complaint, query about the scheme / information published on this website. DISCLAIMER: This is neither the official website nor linked to any Government organization, agency, office or official in any way. This is a public website and author share information about government schemes on this website. All the logos/images posted on this website are the property of their actual copyright/trademark owners.